The exterior siding color of your house can show off your personal style to friends, neighbors and anyone who strolls by your home. Are you wondering what siding color is right for you? We’ve compiled some tips and tricks for picking the perfect siding color for your lifestyle. What is the Color of Your Roof? Before you choose a color for your exterior siding, it’s important to take note of the current color of your roof. The color of your roof and the color of your siding should complement each color. Usually, a dark colored roof matches well with a lighter color siding and vice-versa. What Does Your Neighborhood Look Like? If you want your house to fit in with the feel of the area, go along with the color scheme of your neighborhood. Choose a color in the same family as your neighbors – whether it’s neutral colored sidings, bright colored sidings or warm toned sidings. Alternatively, if you want your house to stick out and show off your unique personality, choose any color that best reflects your style. What’s the Style of Your House? Different house styles look better with certain colors. For instance, stone color hues fit with Tuscan homes, warm colors work perfectly with cabins and houses in the mountains and woods, and Victorian homes are known to showcase bright colors. Will the Color Show Dirt Easily? Every climate has different colored dirt, so keep in mind that painting your siding the same color as the dirt in your area allows the dirt to blend in with your house, so it won’t be obvious for miles away. Dark colored houses are abound in Minnesota where, consequently, the soil is a dark brown color. Are you wanting to update the exterior siding of your house? 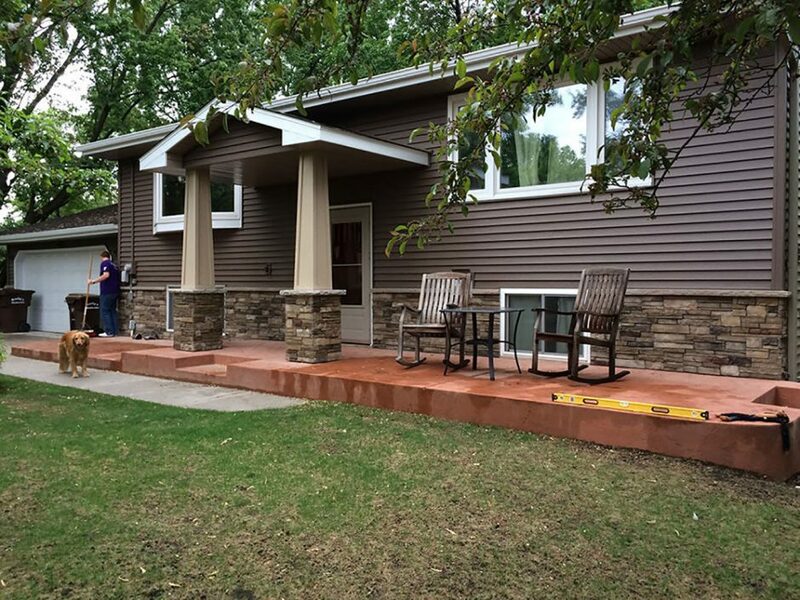 The professionals at Chuba are experienced in home exterior remodeling and would love to give you the siding that best fits your wants and needs! We are currently taking projects for 2019- contact us for an estimate! At Chuba, our dedication to service, attention to detail and use of top quality products ensures that we will be your trusted partner throughout the renovation process. We are currently taking projects for 2019- contact us for an estimate! Be sure to follow us on Facebook, Pinterest, and Houzz to see our quality project examples!